A Londoner at heart, I still think of Bristol as a small place where it’s easy to track down the jazz. 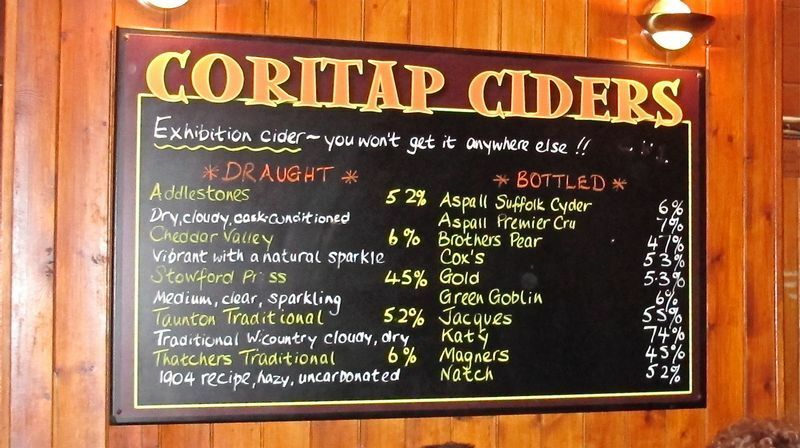 Still, we’ve acquired a few new venues over the last year or two, so maybe it’s helpful to say a few things about what is on offer at the ones I’ve sampled to add to the comments in individual posts. Links to current listings on RH side of this page. This isn’t comprehensive, you can hear music of diverse kinds in *lots* of pub rooms in the city, but I think these are the main ones. I like to actually listen to my music, so there is some mention here of how easy that is to do in comfort. The wonderful old church just off Park Street is the best space in the city for listening to top quality music of all kinds. Musicians love it. Can hold 600 or so, which is enough for all but the very biggest jazz names. SInce we’ve been in town I’ve heard Mike Gibbs, Joe Lovano, Joshua Redman, Fred Hersch, Tomasz Stanko, The Bad Plus, Phronesis and more there. The acoustics are superb, and you’ll often hear people play unmiked, which is great as long as the drummer is adaptable. They sometimes miss out on tours you wish they could buy into because the venue has no subsidies, but their programme is always worth combing through. A fine venue which has just opened an upgrade and extension to the building that gives it a fine new foyer and a new performance space for smaller events. Nice new foyer with a couple of concert spaces attached which now need their own refurb. I find the big (2000) hall unatmospheric sometimes and the small (200) one can have muddy sound but on a good day they both work well enough. Enterprising programming recently for the small hall, (Anthony Braxton, Sun Ra and Kamasi Washington, all in 2015!). 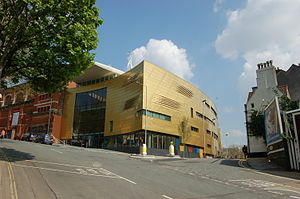 Also the indispensable hub of the new Bristol Jazz and Blues Festival, when the place comes alive in the first weekend in March. Closing soon for a major makeover, and there’s talk of a new, specialised jazz space in the basement… Meanwhile, there are also occasional free foyer gigs in the evenings – which would be great if there was anywhere comfortable to sit in the space, and if it did not suffer from an architecturally inept front door which admits a large blast of cold air when anyone enters or leaves the building. Perhaps remedy that before splashing out on the rest of the old place, folks? It would make a real difference I reckon. *UPDATE Colston is now closed, apart from the foyer, for a major refit of the old building. Due to re-open, with a new name (good) in 2020. 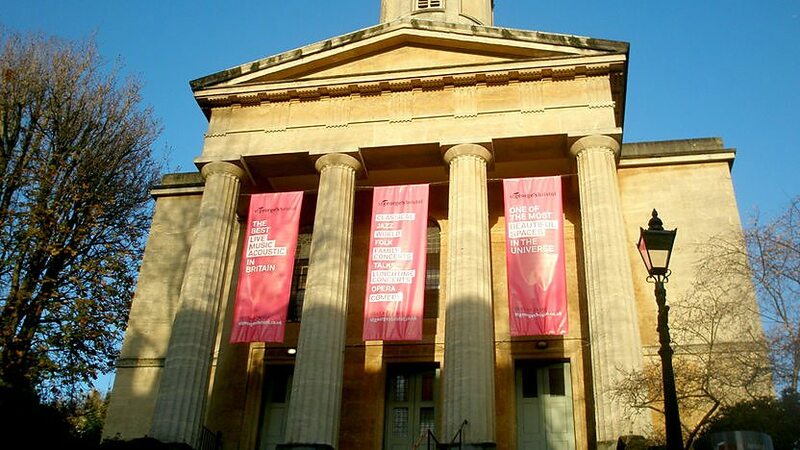 Bristol Jazz Fest 2019 will be mainly in the spiffily redone students’ union spaces in Clifton and at St Georges. Those are the two spaces for special events (though also worth keeping an eye on the Wiltshire Music Centre in Bradford on Avon). The rest are the ones for the weekly fix. The BeBop Club, at the Bear in Hotwells. Friday night gigs all year, save for a summer break. Mainly local line-ups with the odd touring band. A devoted jazz audience who listen hard, an advantage not to be underestimated. The other-worldly economics of jazz mean you can often hear world class music here for a few quid, and sit as close as if you were in your front room. When the audience turnout is small, it can feel a little forlorn, but on a good night it’s a great space. Used to be really shabby but has had a lick of paint, plus new doors which help block noise from the bar’s impressively noisy regulars. Some of the saggy-cushioned chairs can be pretty uncomfortable over two sets of music, though, so check yours before you settle in! The Hen and Chicken, Southville. Just round the corner from the Tobacco Factory, this is where long standing Bristol scene-maker Ian Storror runs his classy promotions these days. Yes, it’s still a pub back room, but a really big one, with decent stage and systems. Plenty of space and a good place to listen to music in reasonable comfort – can get a bit stuffy, so dress lightly. The entry cost tends to be a little higher than the other small venues, but you get top notch players for your money. Gigs are intermittent, but well worth keeping up to date with the programme. Really the only place to hear bands who are not big enough to play St George’s or Colston II, but still need a bigger venue than the Be-Bop club – there are lots of these! Look for current dates using the link for Jazz at the Albert. A refurbishment of the space also imminent here, which may add to comfort but the music is there thing. *UPDATE Most of Ian Storror’s jazz gigs will be elsewhere from now on (late 2018), possibly in the studio at yet another newly extended/refurbished venue, The Old Vic in King’s Street. More soon. Future Inns, Cabot Circus. Used to have a weekly jazz date programmed by Ian Storror when the hotel opened, but that ceased a while back. Nowadays has a new programmer on Thursday nights. You may hear players who appear at the Fringe, the Be-Bop club and other venues around town, but they feature a lot of high quality touring bands as well, often on their sole visit to Bristol so worth keeping an eye on the listings. 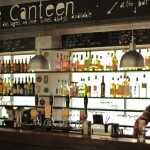 The Canteen, Stokes Croft. This is Stokes Croft Central, ground floor of Hamilton House, with great food and music seven nights a week. Enterprising jazz bookings, most often on Thursday nights or Sunday afternoons. Free entry, often really busy, though not necessarily with people who came for the music. Good place to drop by late at night to see what’s going on. There’s a fortnightly jam session on Mondays. Also check out the Canteen’s stablemates, No 1 Harbourside (address gives location) and the brand new Old Market Assembly (ditto), which have similar music programming. Wardrobe Theatre, in the back of this vast bar, has occasional music gigs as well. Old Duke, King Street. I’m not a regular, but a nice pub venue which has been offering jazz -mainly trad and mainstream – for donkeys’ years. Occasional more modern sounds add spice to the programme. Has a two day festival every Summer, too. Alma Tavern, Clifton. Just off Whiteladies Road, and home of the Alma Theatre upstairs. Music, though, happens in the rear of this nice pub, generally on Sunday nights. James Morton and Andy Sheppard have been know to appear here, so keep checking their calendar. Free entry. Expensive food – which is superb. The Cube. Quirky independent Cinema co-op and arts venue which has lots of left-field music, too – sometimes presented by the rather brilliant Qu Junktions. Some larger musician-led gigs get programmed here, too – and the 80-odd comfy seats and generous stage make it a great venue for the right players. Further down the Gloucester Rd, the Gallimaufry bar and restaurant has a jazz funk session every Thursday (as of Sep 2014), usually featuring James Morton and friends, and very busy! Behind St Nick’s Market, the Old Fish Market pub has a regular Sunday evening (7.00 start) session, usually with a trio, which I’ve been recommended but have yet to sample. I’ve left out a few places I visit rarely, not because they’re not nice but because one advantage of the City is being able to stay local – I can get to most of these venues on foot. There are other fine venues a bit farther afield, notably Royal Welsh College of Music and Drama and the Flute and Firkin in Cardiff the Wiltshire Music Centre in Bradford-on-Avon, and the Widcombe Social Club in Bath, where long-time promoter Nod Nowles is booking some excellent bands, but that’s about it for Bristol. Feel free to rectify any omissions in the comments. UPDATE Widcome Social Club is also the venue for new Bath Jazz Weekend, having a first go in January 2019.